The game of quick thinking. The challenge is to name that.... person, place, thing and score more points than your opponents. 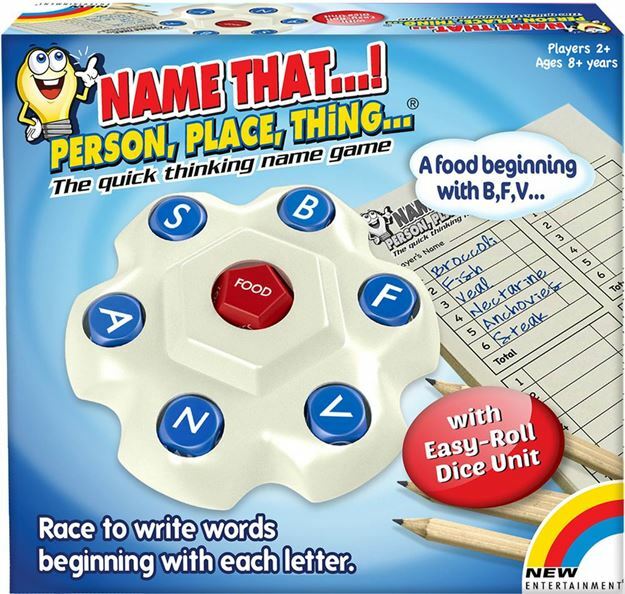 Race to write words beginning with the letters shown on the easy-roll dice unit. The player with the highest score after four rounds is the winner! For 2 or more players. Age 6+ years. Distributed in New Zealand by Holdson.